Many people want to learn music basics, how to read them or how to play the piano but why give many on tutors and instructors for that purpose. With many apps, out there and their development, people nowadays can use their own iPhones as personal music instructors. But with the number of apps you can choose from, it’s hard to find the right app for that purpose. No worries, we looked and we found a game app to help you learn and read music basics fast – Dicing with music. What is Dicing with Music all about? This learning app developed as a game for IOS users offers fast and fun educational option of learning and reading music basics. Simple and easy, created for all music newbies that look for a fast and progressive way to learn the basics of music, without losing time or money on instructors. Only with using their smartphones users can play this amazing game and learn while having fun. Certainly, this is highly effective way to learn the music basics without losing interest in the educational process. Progress in the game and learn to read music basics without any problems! If you like playing games and learning at the same time, this a right choice for all people that want to learn to read the basics of music. 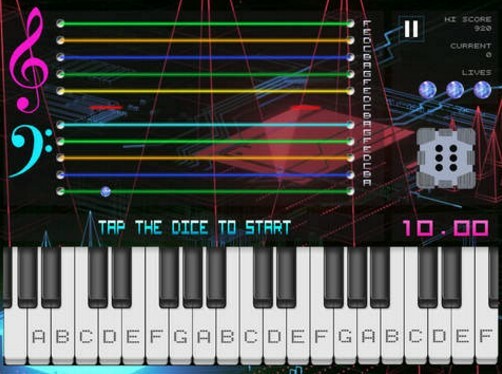 While having fun playing this awesome game, users can learn to read the notes on the music stove. 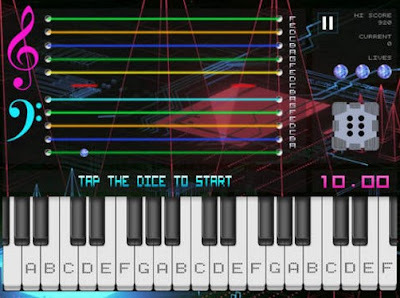 With playing and progressing in many levels this game offers, the users can learn the placement of the notes while they are landing on the music stove. 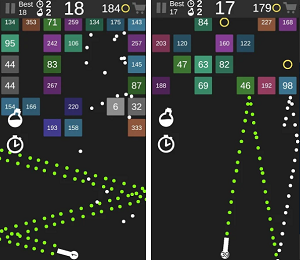 More levels the users pass, the game offers them to learn piano playing while progressing in the levels. Also, the users can use the free play feature this game offers and learn about all the notes that go on the music stove and their positions.